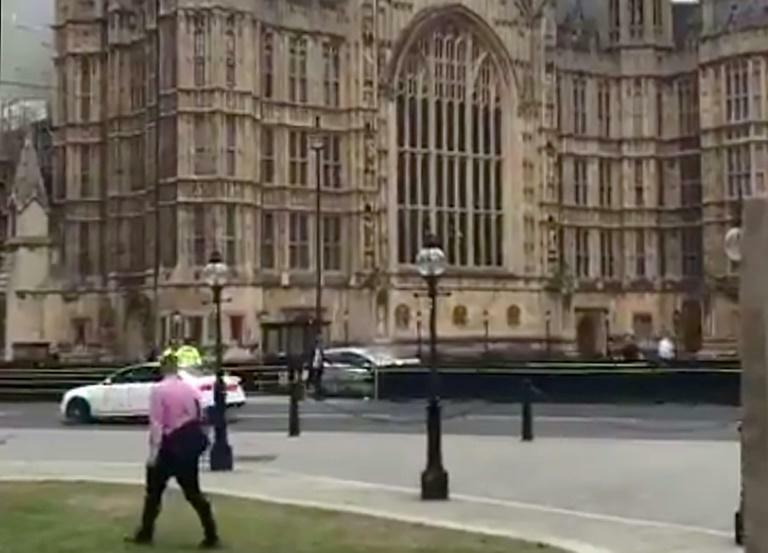 A car swerved into passers-by then slammed into a barrier protecting Britain's Houses of Parliament in a suspected terror attack on Tuesday. A 29-year-old British man, not previously known to the security services, was arrested at the scene by armed officers. Three people were injured. 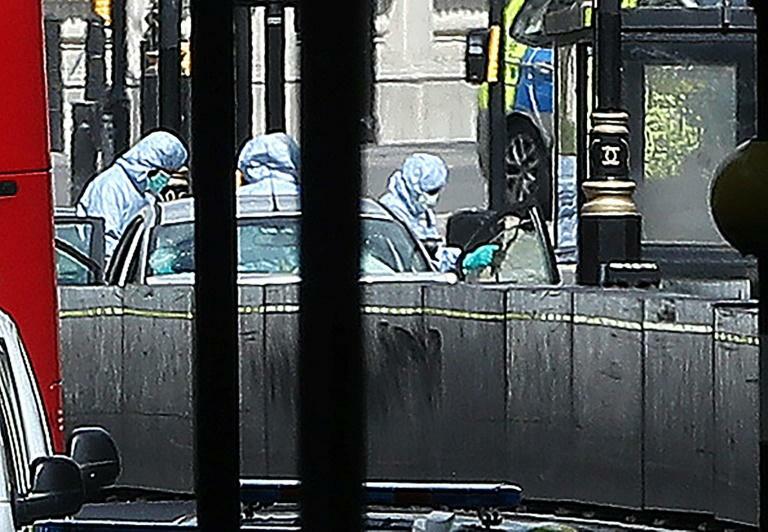 Police, who initially said the man was refusing to co-operate, were holding him at a London police station on suspicion of preparing a terrorist attack. Following a briefing, Home Secretary Sajid Javid urged people to keep an open mind about what was behind the incident, as police raided three properties in central England. Last year, five people were killed when a car mowed down pedestrians in an attack outside parliament. "There are understandably a lot of questions," said Javid, the interior minister. The police and security services "are doing everything they can to find out more about the incident. "We must keep an open mind about what has happened and I'm sure when they do have more information they will say more." Prime Minister Theresa May said the suspected attack was "shocking" and an "appalling incident" as she condemned the "twisted aim of the extremists". Footage shows the silver Ford Fiesta veering across an intersection, hitting cyclists and pedestrians, before speeding into a barrier outside the Houses of Parliament at 7:37 am (0637 GMT). Images showed police holding the man, dressed in jeans and a black puffer jacket, in handcuffs. "Given that it appears to have been a deliberate act, the method used and the iconic location, it is being treated as a terrorist incident," police said in a statement. Police said there was nobody else in the vehicle, which remains at the scene and was being searched. No weapons have been recovered. A man and a woman were taken to hospital with non-life threatening injuries. Both have since been discharged. Another man was also treated at the scene for minor injuries. Witness Kirsty Moseley, 31, from south London, was a passenger in a nearby car. "I heard a few shouts, looked up and this silver car was driving at high speed the wrong way into the cyclists," she said. "It's absolutely amazing there was only one cyclist seriously injured, he went straight through them. People were thrown everywhere." The driver "wasn't shouting anything, he wasn't screaming, he didn't look crazed or out of control -- he was just deadpan." Searches are being carried out at two addresses in Birmingham and one in Nottingham in central England. Police said the privately-owned car travelled from Birmingham to London late on Monday, arriving in the capital just after midnight. It was in the Tottenham Court Road area from around 1:25am until 5:55am, then was driven around Whitehall and Westminster, where the parliament and government ministries are, from around 6:00am until the time of the incident. May urged the public to "remain vigilant but also to come together and carry on as normal". "The twisted aim of the extremists is to use violence and terror to divide us. They will never succeed," she said. No other arrests have been made and police have said there is no intelligence of further danger to Londoners. May's spokesman said there were 676 live investigations being carried out by the security services and counter-terror police at the end of June, up from more than 500 in March. Some 13 Islamist and four far-right extremist plots have been foiled in the past 18 months, he added. US President Donald Trump urged tough action. "Another terrorist attack in London... These animals are crazy and must be dealt with through toughness and strength!" he tweeted. 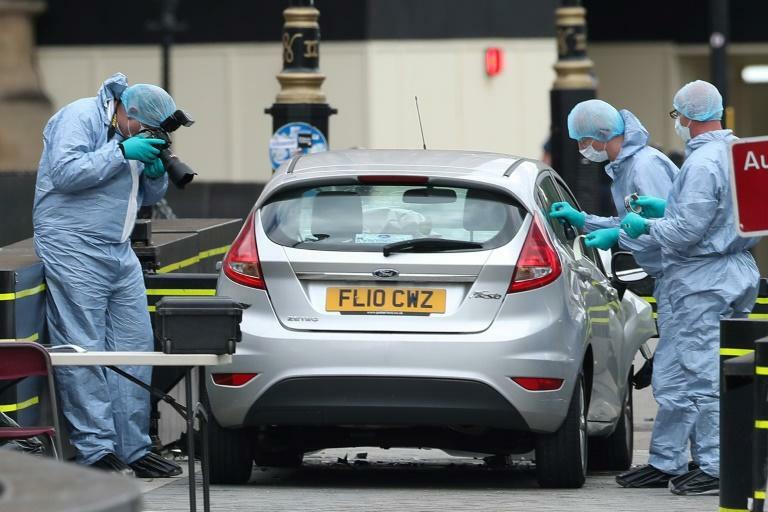 Westminster was the scene of a terror attack last year when Khalid Masood, a 52-year-old British convert to Islam, drove a car at pedestrians on Westminster Bridge over the River Thames, before fatally stabbing a policeman on guard outside parliament. Britain's national terror threat level is set at severe, the second-highest of five levels, meaning an attack is considered highly likely.